Staff at the Feversham Arms Hotel and Verbena Spa are certainly feeling the love after being shortlisted in three categories in a prestigious readers’ travel awards, including Best Hotel for Romance. 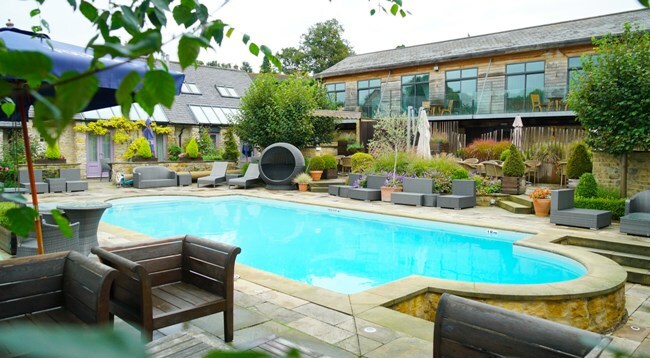 The Helmsley-hotel beat off stiff competition from across the UK to also be named finalists in the Best Boutique Hotel and Best Spa / Wellness Hotel categories in the Luxury Lifestyle Magazine Readers’ Travel Awards 2018, which aims to shine a spotlight on the finest hotel and travel destinations in the world. Following its nomination, the venue then had to impress a well-travelled judging panel before being named a finalist. Staff are now hoping members of the public are also feeling the love for them, as voting is now open and its down to the public to cast their vote. Bobby Polkey, group marketing manager at the Feversham Arms Hotel, said: “We’re delighted to have been shortlisted in the Luxury Lifestyle Magazine awards – to have been nominated and then selected as finalists in three categories by the judging panel is just fantastic. Voting closes at 11.59pm on June 10. The winners will be announced at the end of June.